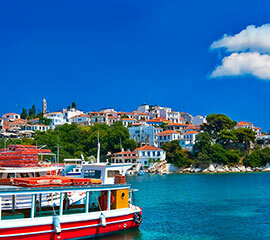 The group of islands known as the Sporades consist of the beautiful islands of Skiathos, Skopelos, Alonissos and Skyros and are located in the northwest of the Aegean sea. 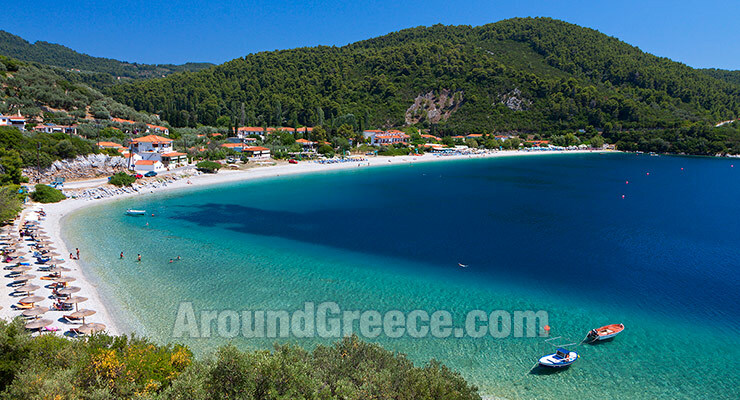 The island of Skyros is located southeast of the other three islands, which is why the islands of Skiathos, Skopelos and Alonissos are often referred to as the North Sporades. 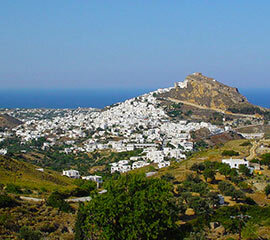 These islands are very green with dense forests and rich vegtation that stretches all the down to the beaches and sea. 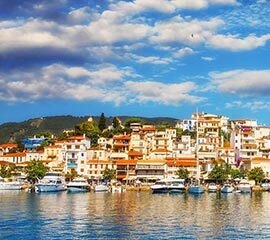 The colours of blue and green are a feast for the eyes and mind, and you can enjoy wonderfully relaxing holidays here. You will find gorgeous sandy beaches all around the islands where you can swim and enjoy watersports during the summer. The three northern islands have ferry connections between them, so you can easily head across to one of the neighbouring islands and explore them during your holidays. There are also ferry connections to Skyros, but these are not on a daily basis. For your stay on the islands you will find a great choice of accommodation ranging from top quality hotels, rooms and studios, private villas and even charming boutique hotels. 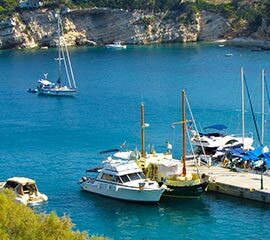 You'll be able to find some lovely hotels close to the sea, as well as comfortable accommodation in the main towns and villages of the islands, so you can easily travel around and explore these delightful Greek islands. There is something for everyones budget, so whether you are looking for a simple bed for the night, or a resort where you can find all the anemities you will need during your stay, you won't have a problem finding exactly what you desire. Keep an eye out for some of the special deals that are available throughout the year, especially during the off-season.